Logitech Control Center is an application which allows you to customize your computer mouse and key functions on your keyboard. If for any reason you need to uninstall Logitech Control Center from your Mac, use one one the removal methods, provided below. How to uninstall the Logitech Control Center manually. How to uninstall the Logitech Control Center using App Cleaner. 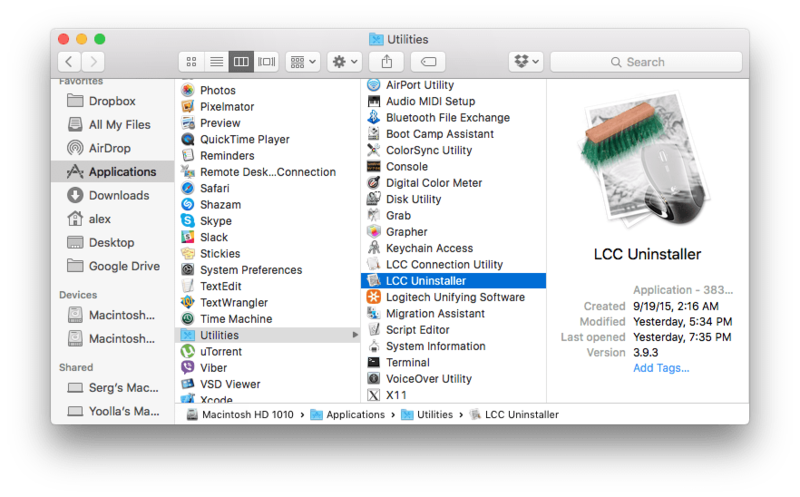 Go to the Applications folder → Utilities and launch LCC Uninstaller. 2. In the appeared window, click the Uninstall button. 3. Once the uninstallation is completed, restart your system. The application should be removed from your Mac. 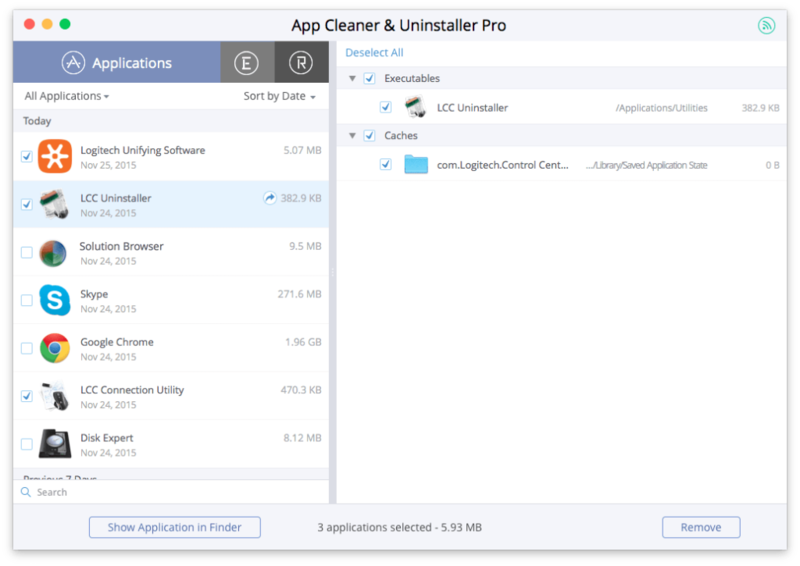 If for some reason, you can’t find the LCC Uninstaller file on your Mac, you can completely remove the program using App Cleaner & Uninstaller. Select the items related to LCC. Click to remove them and confirm the deletion.